Encourage light packing: The best way to start is by enforcing good habits. Start by laying out all the items you think you might need to pack. Decide with your child what’s essential, and what can be eliminated. Only pack what you need. Load it evenly: Backpacks are made to distribute weight evenly. Make sure the heaviest items are positioned closest to the centre of the back. It stabilizes their centre of gravity and helps prevent slouching, tilting to one side, or falling over. Make sure it’s the right weight: Ideally, a backpack should be no more than 10-15% of the wearer’s body weight.2 This is especially important to consider with smaller children. Ask if they’re experiencing discomfort while wearing it: Even if the bag looks right, it might not feel right. Ask the child if the bag feels comfortable for them. If they say it isn’t, try to figure out what it is that feels out of place and see if it’s something you can adjust. Monitor their comfort: Don’t assume that when the bag has been fitted once it’ll be set for the whole school year. Maybe a strap has been pulled tighter or loosened, maybe it’s filled a bit too heavy on occasion, or maybe the objects in the bag on some days are weighted to one side instead of centred. By checking how the bag fits each day, you’re not only helping your child’s posture, you’re helping to form good habits for life. 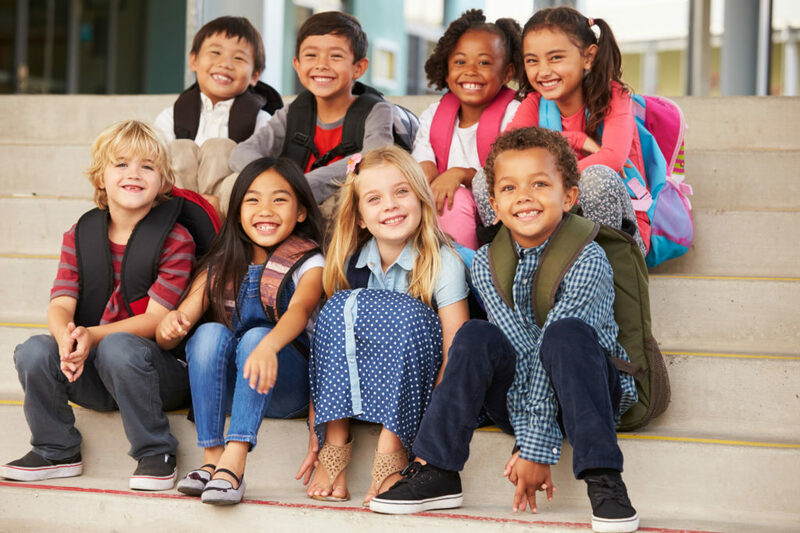 Reduce backpack wearing time: If the child has access to cubbies, cubicles, or safe places to rest their bag when they aren’t walking around with it, encourage them to use them. This ensures they aren’t wearing their bag for longer than they have to. Keeping these tips in mind are sure to make your packing easier and your bags a little lighter. Good habits start young! Learn more at our upcoming “Pack it Light, Wear it Right” in – house event hosted by Dr. E on August 30th.